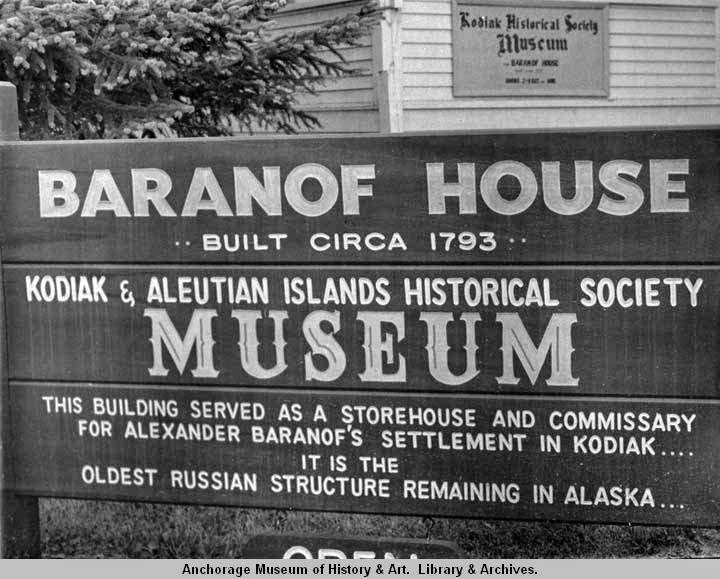 I grew up in Kodiak walking passed the Baranov House Museum practically on a daily basis. Across from the ferry dock, near the church, and the old KANA building (which is no longer there), the museum once served as the Russian-American Company's storehouse and commissary. The museum was named after the chief functionary of the Russian colonial project at the time, Alexandr Baranov. He arrived in Kodiak in 1790 and hammered out the economies and social order of Russian America. 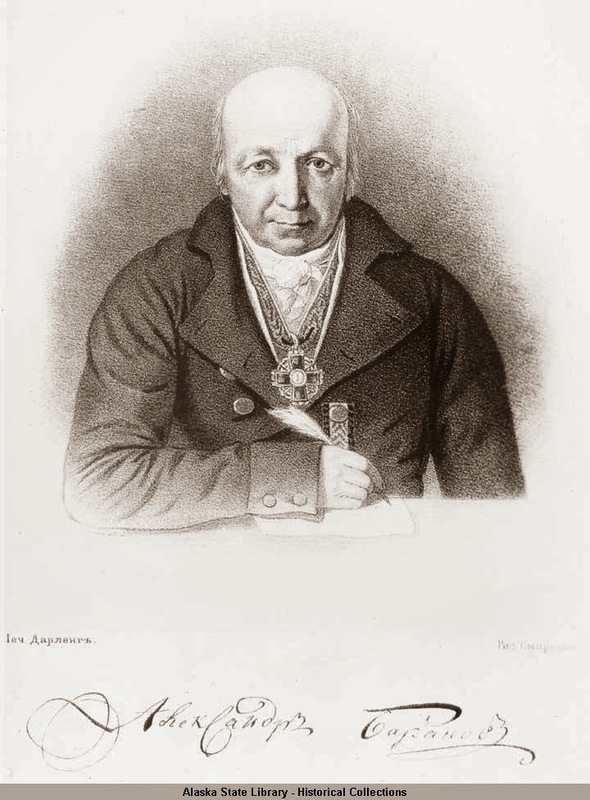 "Portrait of Aleksandr Andreevich Baranov, first Russian Chief Manager of Alaska, 1790-1818." This week on May 25, 1799 Baranov moved the center of Russian America from Kodiak Island to Sitka where the Russians would name New Archangel. The name "Sitka" for the town originates from the the Tlingit word Sheet’ká, a contraction of "Shee At'iká" meaning "People on the Outside of Baranof Island", whose call themselves Sheet’ ká X'áat'l. 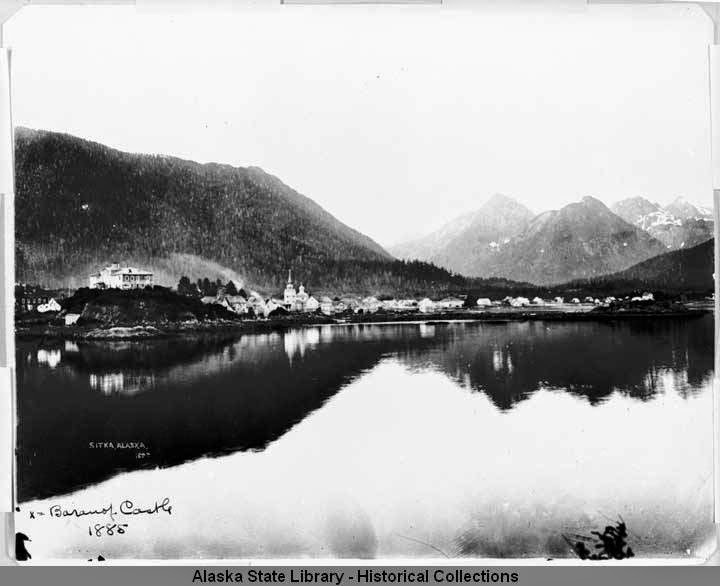 Below is a photo of "Sitka" and the Baranov residence in 1885. 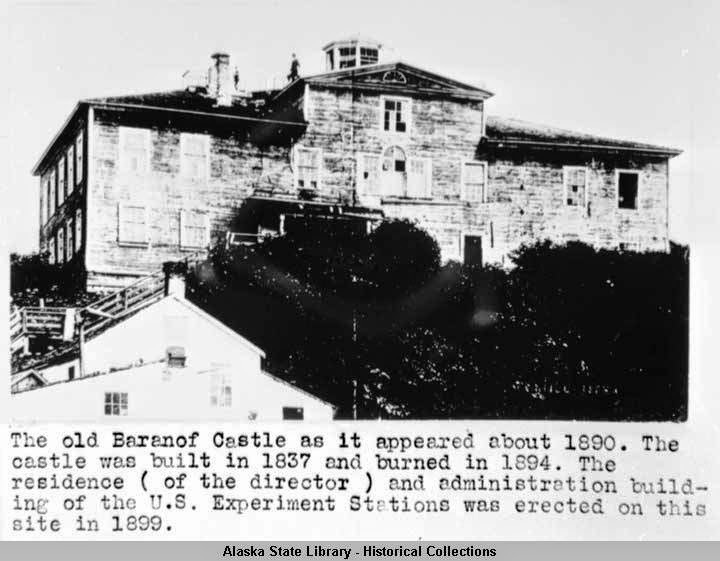 Baranov had constructed a large castle that was finished in 1835, but as you can see in the photograph below by 1885, 23 years after the United States took control of the Alaska region, the residence was in dilapidated condition. Strangely enough, the nation built "experiment stations" on the sight where the residence once stood by 1899. 215 years later Sitka is a city of approximately 9,000 people, and as part of the United States, it sits in Southeast Alaska. In the early 20th century, as mentioned in a previous post this area of the world, the coastal Tlingit homeland, would become the Tongass National Forest. Below is a short tour of contemporary Sitka, centuries after Russian colonialism.